Dave Tindall is taking the My Guys Moving brand to Virginia Beach. Photos by Michael Thompson. 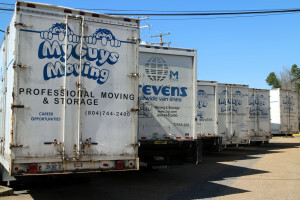 Dave Tindall is opening a My Guys Moving and Storage location at 1345 Taylor Farms Road in Virginia Beach this month. Tindall has leased an 8,000-square-foot warehouse in the area. 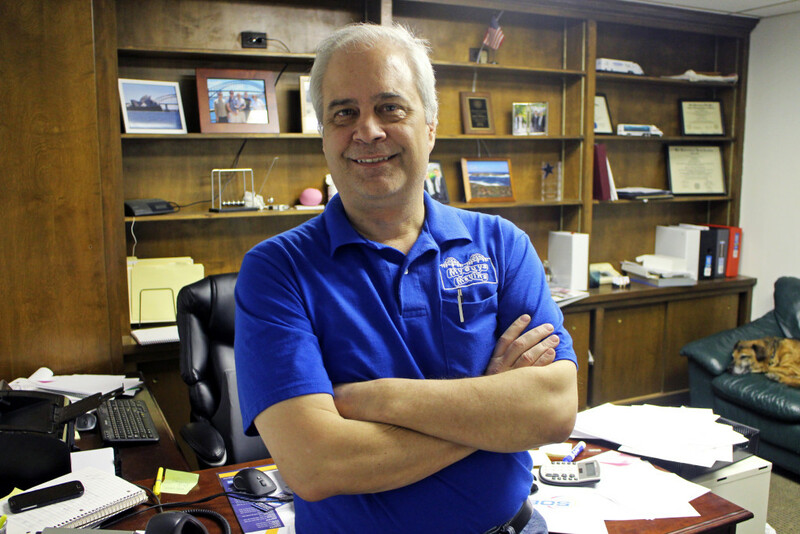 He plans to buy three trucks and hire 12 to 15 employees to get the venture up and running. Tindall said in three to five years he hopes to have between 30 and 40 employees in Virginia Beach and to have bought some real estate in the area. Doing so would follow a similar pattern to what he has done in the Richmond market. Tindall, who was formerly in management at MeadWestvaco, launched the Richmond My Guys Moving and Storage franchise in 2008. “If there was ever a worse time to buy the company, I don’t know when it would have been,” Tindall said. “But after the first year we became profitable.” My Guys My Guys expects to start off in Virginia Beach with three trucks. The company is based out of a 23,000-square-foot office and warehouse space at 401 Dabbs House Road in Eastern Henrico that Tindall bought two years ago. The Richmond My Guys has 15 trucks and 40 employees, does local and interstate moves and provides storage services. “We almost never say no,” Tindall said of job requests. “Hot tubs are about it – they break too easily.” Tindall said My Guys does about 800 moving jobs a month. “You got to keep the trucks running,” Tindall said. My Guys expects to start off in Virginia Beach with three moving trucks. Tindall said he expects it to cost up to $125,000 to launch the Virginia Beach My Guys Moving, and he’s financing it himself. Tindall has owned the rights to the Virginia Beach territory for a while and thought that the time was ripe for expansion. “We believe that market is underserved, and moving there’s a real opportunity,” he said. Tindall said the challenges of being in the moving industry include a shortage of truck drivers and fewer moves because of military downsizing and a rise in telecommuting. With online booking and marketing, Tindall hopes to stay competitive, especially with the younger generation. Original Article by Michael Thompson, a BizSense reporter who covers startups, restaurants, small businesses and more.